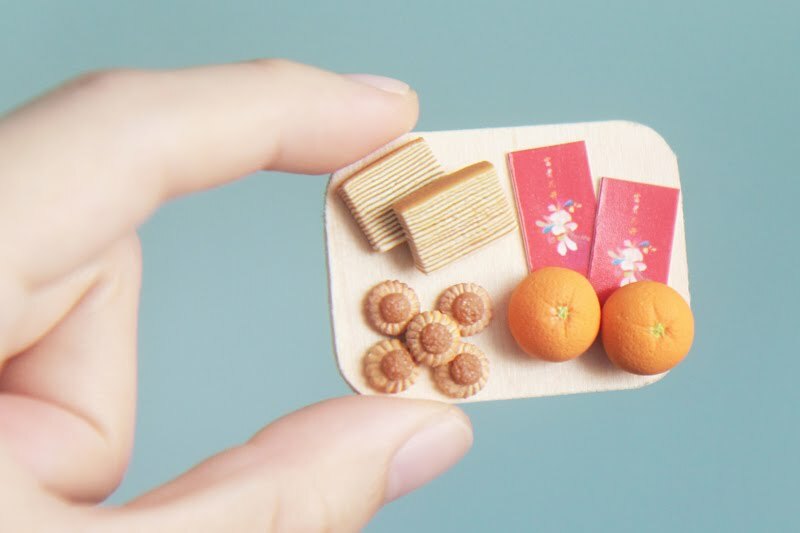 AiClay - a Haven of Miniature Food: THE BIG MOVE and making miniature CNY treats! 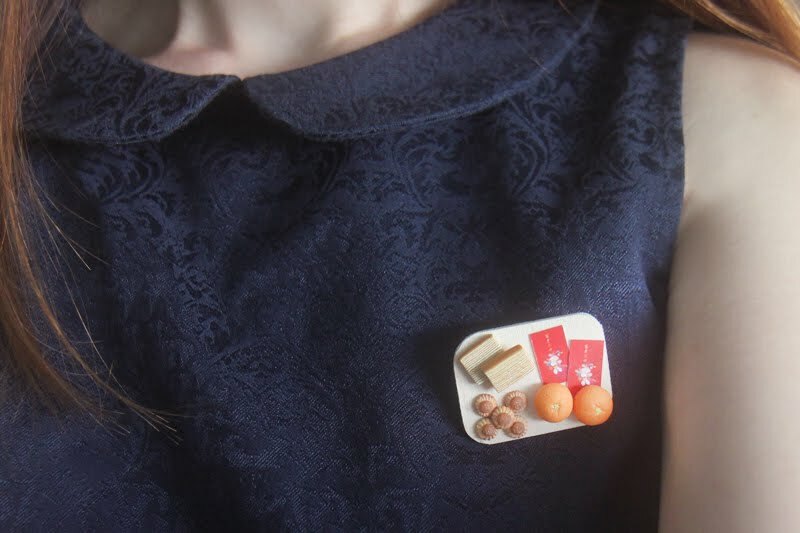 THE BIG MOVE and making miniature CNY treats! So a lot has happened from October 2015 till now. The big move, it sounds like something which can be done over an intensive 24 hours, or maybe a few days. But it's been months of negotiation with contractors and estates people, looking for IDs, sorting out our collaboration contract (I'm collaborating with my friend's dance studio in this studio project!). 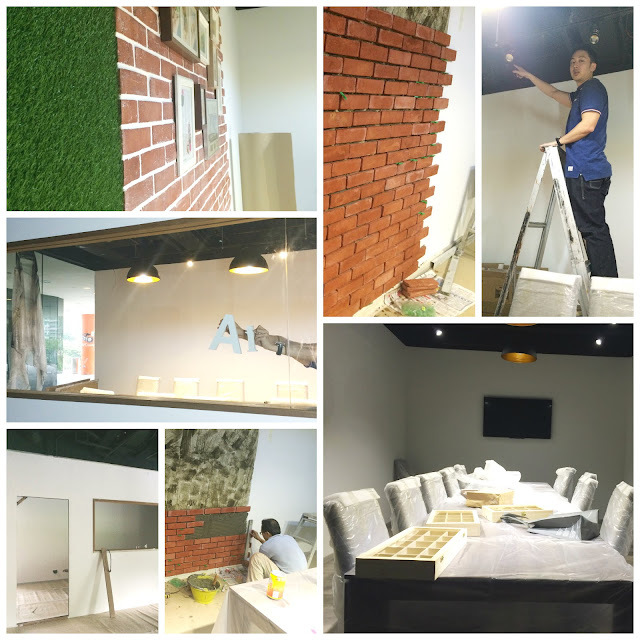 But I can finally say that we will be opening our studio doors FOR REAL in another few weeks! Previously, I held workshops in my home studio. There was so much more I wanted to do (like better chairs, bigger space) for all of you who joined me in workshops. however the limitations of a home studio made some improvements impossible. But now that I've got my own studio outside of my home, both you and I now have a bigger and better place to craft in! HOORAY! Some snaps of the draggy renovation process for the studio. The official opening of the studio will take place in late February, but I've decided to have a workshop even BEFORE that, so that I can be quicker than the Monkey (i.e have a workshop before the Year of the Monkey haha). It's a Chinese New Year content, which is why I want to hold that before the festivities kick in! Which means that it'll be my very first workshop in MADDspace at Scape. And I really hope to have more of you there to join me in this momentous class! Here are the workshop details, and registration is open as I type! Fees/pax are $95, inclusive of materials, usage of tools and equipment. Also, light refreshments will be provided. Plus you get $5 off for you and your friend/s each if you bring a friend/s! You will learn to make an assortment of miniature CNY treats, mandarin oranges, pineapple tarts and kueh lapis. You'll get to work with a tiny mold for the pineapple tarts (just like when baking real-life tarts! ), and learn how to roll and stack polymer clay from scratch to form the delicious kueh lapis. Also, you'll experience shaping and texturing to create realistic mandarin oranges. 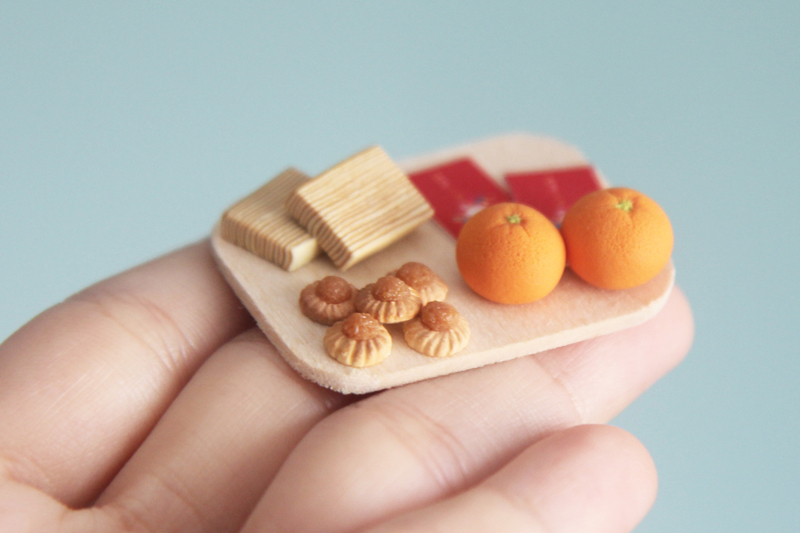 Lastly, assemble your petite food with tiny angbaos on a wooden board to be made into a display, brooch or fridge magnet! Perfect for wearing out to go CNY house-visiting with, or when people come to your house and use your fridge! ♥ A sure way to stir up conversation. And to distract pesky relatives from asking you the same questions year after year. Head here to register now!